The two pens of five Poll rams we will offer at Hamilton Sheepvention are notable both for their figures. The rams are all trait leaders (top 10 per cent of industry) for the DP index. Eight are also trait leaders for the MP index. They are characterised by their outstanding growth weights – nine of the 10 are industry trait leaders for yearling weights; while having finer microns. 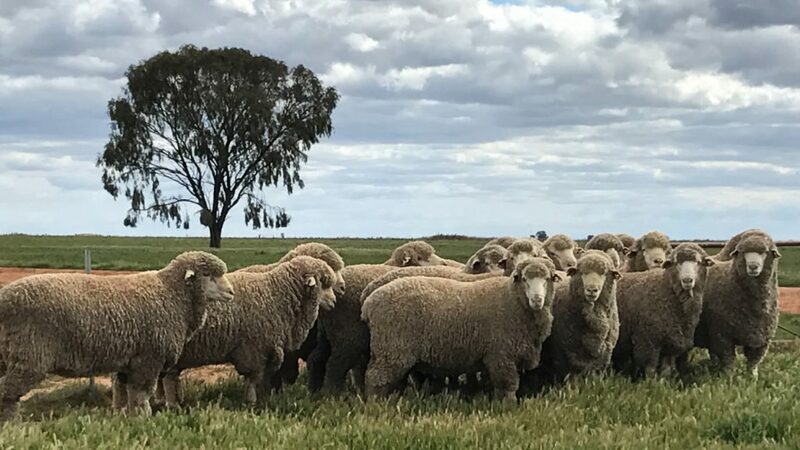 We feel this is an ideal ram for today’s conditions, with a wonderful wool market rewarding finer micron, productive sheep and a big lift in the 17 micron range, and also able to deliver growth when growing season moisture is at a minimum. The rams number 10 in total (two pens of five) and are ideally suited to the type of sheep the district demands, with quality, soft handling, finer microning wool with all the productive traits we aim for. Each pen again offers a distinctive type across the pen and the rams would stand among the top end of our annual auction. We look forward to presenting the rams at Hamilton and welcome any questions you may have.